What is burnout and how can I avoid it? 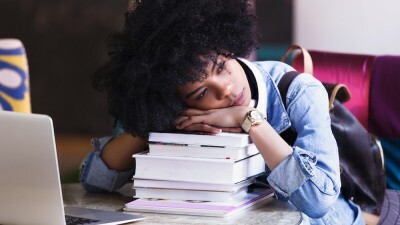 Choma, if you’re feeling incredibly tired and overwhelmed to the point where your schoolwork and other areas of your life are suffering, you may be suffering from burnout. Burnout is a state of “emotional, mental, and physical exhaustion” which happens when you are very stressed for a long period of time. Burnout occurs when you feel hopeless and unable to deal with the things you need to deal with - this could mean your academic work, issues within your home or community or a variety of other stressful factors in your life. Burnout is different from stress since those who have burnout feel like they’ve given up and can no longer deal with their responsibilities. If you have burnout, Choma, you’re not alone. Local teens report feeling high levels of stress- especially from age 14 to 18. A lot of this stress is caused by pressure to perform well academically, and 18-year olds report the highest level of stress, presumably because of the stresses associated with being in matric. Reach out- speak to a trusted friend, family member, teacher or anyone who you can confide in. Be kind to yourself- Resist the urge to blame yourself, or to put yourself down. Remind yourself it won’t last forever- No matter how you’re feeling now Choma, I promise you that these feelings won’t last forever. You’re young and you have your whole life ahead of you, so remember that you can overcome your current challenges. The key to preventing burnout is to not let your stress get out of hand Choma. Follow these steps to make sure you’re managing your stress and not letting it build up. Improve your diet. The food you eat can have a huge impact on your mood, and stress can lead to unhealthy cravings. Try to eat healthy by avoiding sugary, greasy and salty junk foods. Caffeine can also increase stress levels, so try not to drink too much coffee or energy drinks. Exercise. You’ve heard it a thousand times by now, Choma, I know. But exercising is an amazing way to release stress out of your body and mind. You can read my article on how to get started with exercising here. Get enough sleep. One of the easiest ways to combat stress and prevent burnout from happening is by getting a good night’s sleep. Take a break from technology. Using technology before bedtime can affect your sleeping patterns negatively, among many other effects that can leave you feeling stressed and overwhelmed. Set a time for yourself where you can completely disconnect from your laptop, phone and any other technology. Don’t commit to too many things. Learn how to say “no” to certain requests and plans, to avoid putting more things on your plate than you can handle. Express your creativity. Whether it’s starting a fun new project or returning to a favourite hobby, set some time aside where you can get creative and do something you enjoy. Choose an activity that has nothing to do with your schoolwork. Set aside time to relax. Yoga, meditation, breathing exercises and even praying can activate your body’s relaxation response, which will counteract stress and anxiety. Stress and burnout can cause many issues for your physical and mental health, so it is very important that you take care of yourself and deal with stress as early as possible and the right way.